Shoes serve many functions. They protect our feet and cushion our body weight. Having a good quality of shoes will make our feet feel comfortable to wear for a longer period of time. There might be many stylish shoes out there but don't sacrifice the comfort and safety for fashion. 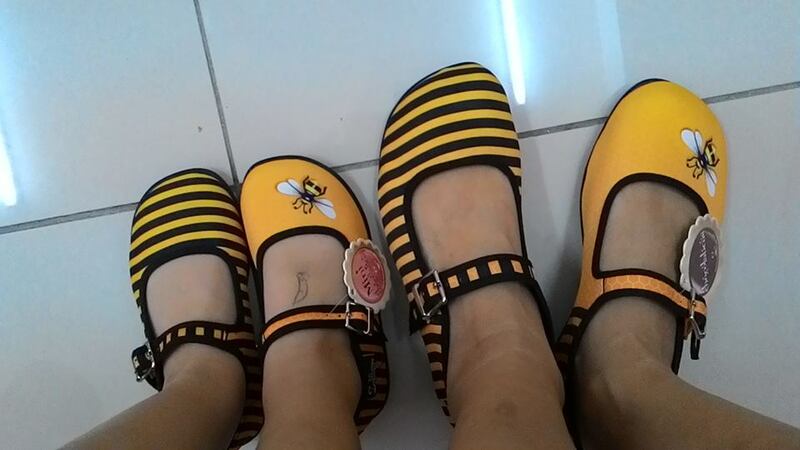 To have a combination of both comfortable and fashionable shoes, Mommy Jane had recently choose Mary Jane shoes by Hot Chocolate Design. Founded in 2004 by Pablo Martinez & Carolina Aguerrevere, Hot Chocolate Design emerges into the Venezuelan market as a local fresh and innovative brand, based on the consumers need of feeling away from the uniformity and creative rigidity provided by mass produced brands. The design is occasionally blends with art as the concept, design and fabrication of each item that they produce is intended to reflect the individuality of each item. Based on the customers need for originality, they offer limited collections and their retired products have become collectors items for many of their fans. Amongst all the designs given, Mommy Jane had choose to have Chocolaticas Leopard Women's Mary Jane Flat design to wear it on my birthday. When I received the shoes, I was impressed with the design, the vibrant colours and quality of the prints. Once wear it, I felt comfortable with every step that I took. The Chocolaticsas Mary Jane flat shoes is a unique mix of vintage and modern. The Leopard printed fabric upper looks classy and fun. The buckle strap is adjustable and stretchable that made it easier to wear, functional and fun. 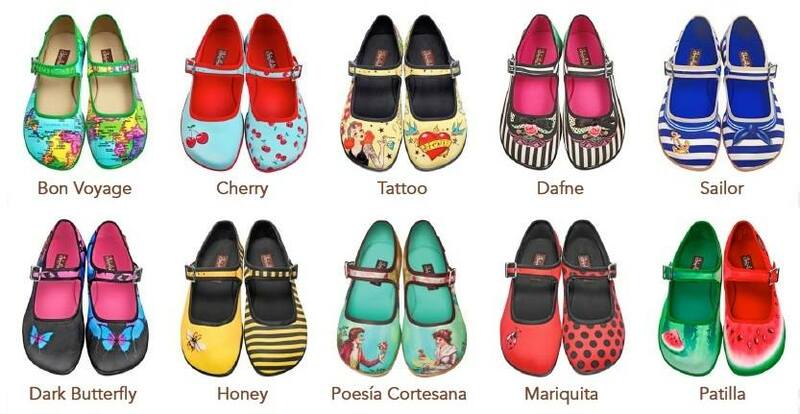 Mary Jane shoes had soft fabric inner and cushioned inner sole for maximum comfort. When I walk on different surface, it is indeed comfortable to my feet. Hard, stiff soles are often the culprit when it comes to leaving scuff marks and lines on wooden or tiled floors. We should wear shoes that have non-marking rubber sole for superior grip and Hot Chocolate Design comes with non marking rubber sole. Do check out Hot Chocolate Design Size Chart to get a perfect fit. Mommy Jane is wearing size 8 or EUR 38 from the chart but it is recommended to measure your foot in order to receive a perfect fit. 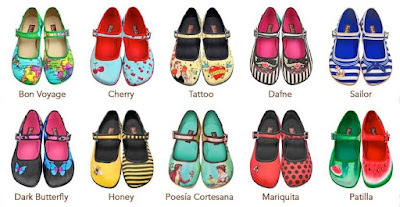 Mary Jane shoes by Hot Chocolate Design was renowned for its unique design shoes. Besides the Leopard that I am having it now, they had Red Cherry, Honey, Butterfly, Princesa, Tattoo and many more. What attracts me is that Hot Chocolate Design had Mother-daughter matching shoes. I can wear the same design of shoes with my little girl, CW wherever we go for a bonding session. My Little Angel loves the cute design too. The retail price for Mary Jane shoes at US$65 but in Malaysia, they are selling at RM190 for adults and RM170 for kids, which I think is cheaper to get it locally. 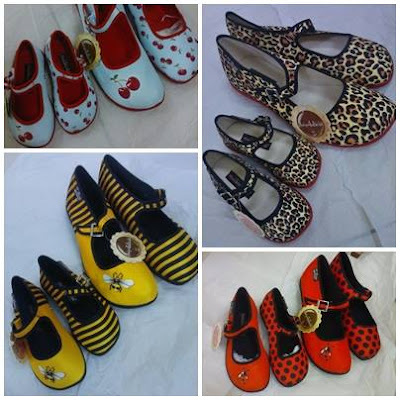 If you opt to have a matching shoes with your little girl, then pay only RM320 for both of your favourite shoes. In conjunction with Mother's day and Hari Raya, pm them at their facebook page to get 15% discount off the selling price. 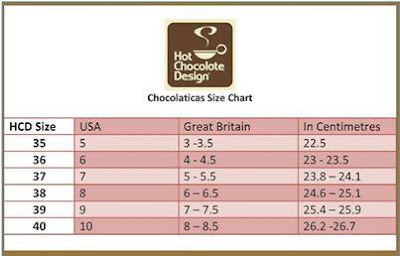 For more information on Mary Jane shoes by Hot Chocolate Design, do check out their facebook page at www.facebook.com/happysueshoes. Mommy Jane always believe that being different is what makes me feel beautiful. Times to break away from the flock and celebrate it with my new pair of Chocolaticas on my special day with my 5 Little Angels. I like the brand name! Some of the designs looks cute. Olivia, me too. Easy to remember with special designs. Emily, no one is too old to wear such shoes. Once you wear it, you will feel younger. so pretty.. the shoes styles. I gonna go and check them out. Mhownai, agreed with you. Fun makes us feel pretty. nice shoes and like a shoes like shown in the photo.. These are so cute, would love a pair for me and my daugther, I love matching items. Jia Shin, I love it too. I'm sure you and your daughter will love it too. Remember to redeem the 15% discount. Miera, get it now and you're entitle for the 15% discount. Happy shopping. Fatin, you should. It is comfortable too. But too expansive , I prefer taking my little kids for food and maybe go for a camping or treasure hunt. Pichu, buying a good shoes consider as a good investment for long term. It is comfortable and you can wear it many times. Relyn, never too old for such shoes. Times to feel young again once you wear it. Rane, consider to get a pair for yourself and your daughters. It will be a matching Mom and Daughters shoes.